Patton Oswalt Joins New Season Of Futurama Cast!!! One of the best animates shows on television will be starting its new season June 23rd on Comedy Central. And here with a little sneak of what you can expect from the new upcoming season according to the Futrama Website. I am so happy that Futurama has been given another chance. It really is an amazingly hilarious and smart series. Below is an image of a new character to debut on Futurama’s new season and it will be voiced by comedian and actor, Patton Oswalt. 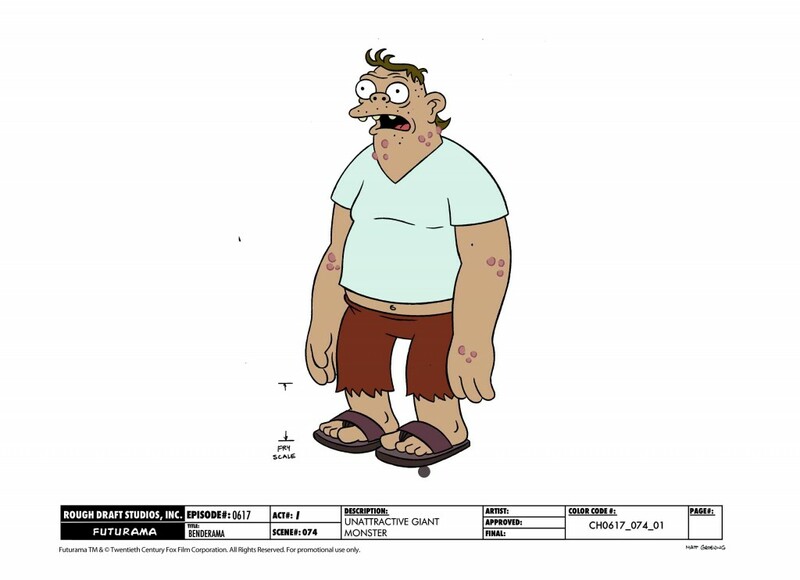 The character that will be voiced by Patton Oswalt is called “Unattractive Giant Monster”. Best news of the day so far. Set your recording devices to record Futurama on June 23rd. Geek Deal of the Day!!! ‘Futurama’ Season 5 Blu-Ray 66% Off!!! Only $13.49!!! This entry was posted on Monday, May 9th, 2011 at 1:05 pm	and is filed under Film, News. You can follow any responses to this entry through the RSS 2.0 feed. You can skip to the end and leave a response. Pinging is currently not allowed. « Geek Deal of the Day!!! Twilight Zone Blurays 54% Off!!! !